Following a very mixed result in Cayman’s first ever election under the system of ‘one man, one vote’, the people woke up to the fact that while 19 people have been elected to the Legislative Assembly, no party, group or alliance has enough seats to form a government. Thus creating a situation where a St.Kitts-Nevis Team UNITY styled coalition will have to be formed to take the reigns of government on Cayman. 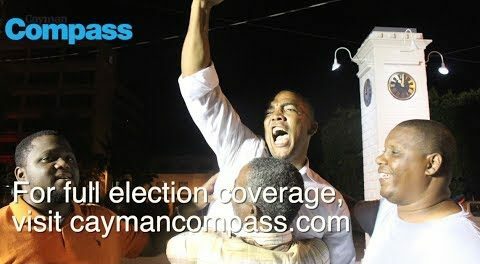 The ruling Popular Progressive Movement (PPM) of Prime Minister Alden McLaughlin secured seven seats in the parliamentary body, while the Cayman Democratic Party (CDP), the main opposition force, won three seats. To form a government, a minimum of 10 seats are needed in the Legislative Assembly, so the next administration will be made up of a coalition. McLaughlin largely dominated the election in his constituency, although the ruling party suffered the critical loss of three legislatures in George Town and Bodden Town. For the first time the equitable system of one man, one vote, was applied at the polls; as a result, all voters chose only one candidate on the ballot. About 21,000 voters were called to the polls in the Cayman Islands to elect members of the new Legislative Assembly of this British Caribbean territory.Alden McLaughlin confirmed Thursday morning that it was too early to comment on what happens next. While the PPM is now the largest group of MLAs, having secured seven seats, even with support from Tara Rivers they are unable to form a government without coaxing two more independents into the fold. Given the wide-ranging policy positions of the Independents elected and in some cases the breakdown of relations with the Progressives, it is unlikely that McLaughlin will be able to tempt any of them into a PPM-led coalition. But in what could prove to be the most unexpected deal of all, McLaughlin could team up with McKeeva Bush and his two CDP candidates to create a coalition, with a possible compromise of Moses Kirkconnell at the helm. Despite their personal differences, the CDP and PPM are more aligned on their political position than they are with those of the most dominant Independents to be returned. The next largest group is the alliance of the four eastern MLAs — Ezzard Miller, Arden McLean, Alva Suckoo and Anthony Eden, all Independent incumbents who were re-elected. McLean clearly articulated his ambition for the premier’s job on the campaign trail, and if he and his three colleagues can attract the support of the other five Independents, including Rivers, plus one more person from either the CDP or the PPM, that group could lead the next government with McLean at the helm. The eastern alliance could also partner with a mix of the CDP and other independents, but that could result in some serious clashes over issues relating to work permit freezes, investment, the financial sector and other conflicting policy positions. The lack of common policy ground between these various groups presents a significant issue. It will also mean that no matter who now forms the government, the promises made on the campaign trail by all the candidates will be hard to deliver. While deals are possible, the direction of government would remain very unclear. So, despite wining just three seats, Bush’s CDP could end up being the deal makers in the aftermath of this very uncertain result, though it is unlikely that in any deal Bush could become premier again. The only thing clear Thursday morning was that while Cayman enjoyed its first ever equitable democratic vote, the resulting government will not really be decided by the people but in secret deals and horsetrading over the coming days — as it was in the old days. The overall turnout was one of Cayman’s lowest for several elections, though it differed widely among the constituencies. Some races were also very close. Two PPM incumbents lost by very small margins: Wayne Panton was unseated by Suckoo in the only battle between incumbents, losing by just 15 votes, and Kenneth Bryan took George Town Central with a margin of 35 votes over the PPM’s Marco Archer. The Progressives took two unexpected seats in George Town from CDP candidates who had been tipped to win. David Wight won in George Town West just ahead of the CDP’s Jonathan Piercy by a mere 16 votes, while Barbara Connolly, understood to have been a reluctant candidate for the PPM when she started on the campaign trail, took George Town South relatively comfortably, even though Mike Adam of the CDP was expected to win easily. Nationally, the Progressives secured the largest percentage of the vote and the CDP also garnered a significant percentage of the countrywide ballot, which was not reflected in the final three seats that Bush secured for his team in West Bay. But in the ‘first past the post’ system, the national percentage or the margin of loss is irrelevant, as each individual race is fought on the ground. Given the divisions in Cayman that have emerged over the last few years, the result is a reflection of that national divide in some areas, which is unlikely to be patched up anytime soon. Speaking to CNS Elections in the wake of his very narrow win in Newlands, a tearful Alva Suckoo said the priority would be to reunite the country after the election battle, as he described his own fight as a hard win. “The first thing we have to do is bring the people of this country back together… There has been a lot of division and we need to focus on that,” he added. Meanwhile, another ‘scalp taker’, Kenneth Bryan, said the people had voted for change when they returned him to the Legislative Assembly. “They wanted change and they came out in numbers and they voted… but there is a long road ahead and a lot of work to be done. I want to make sure we can do it together,” Bryan said following his George Town Central victory Wednesday night. The country may have voted for change but how that change will take shape is a major question. There are only five new faces elected to the parliament, two of them with the Progressives, and all of them are unlikely to have much of a part in shaping the next government, which will be a deal controlled by the elders of the House.